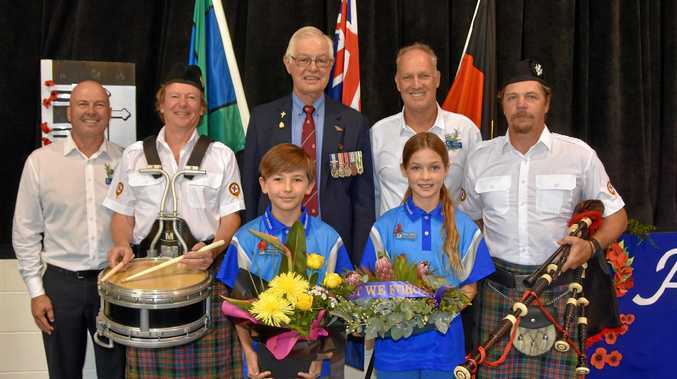 COOROY is alive with events year-round and 2019 is set to be no different, with one of the town's biggest weekends recently named an award winner. 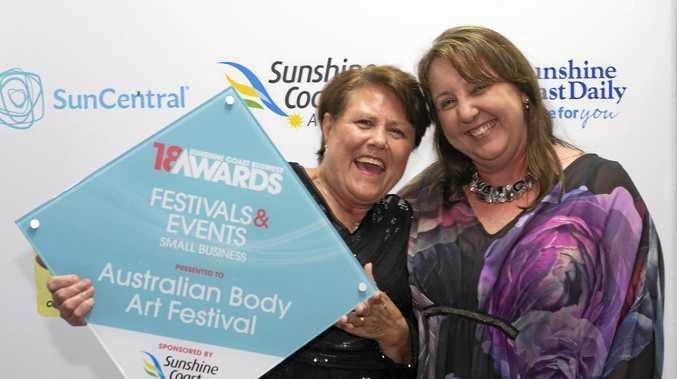 Cooroy Chamber of Commerce took out the Small Business Festival and Events category at the Sunshine Coast Business Awards last month for the Australian Body Art Festival. Collecting the award on behalf of the chamber, Kerrie Bryant-Adams and festival event manager from Firefly Solutions Danielle Taylor both worked tirelessly to bring the event to such success. "If you haven't been to the event, put April 6-7, 2019 in your diary and make sure you are at Apex Park because the team have secured some substantial funding to ensure that the 2019 event, with a theme of 'Other Worlds', will be bigger and better than ever,” Ms Taylor said. To add to the winning streak, the event had also been awarded several funding grants for 2019. With $34,500 from the Australian Government's Building Better Regions Fund, $12,000 from Queensland Events and Tourism's QDEP grant and $15,353 from Queensland Government's Gambling Community Benefit Fund, the 2019 event is already off to a stellar start. The event is calling on sponsors for 2019, with some great benefits thanks to government funding. "Sponsorships are now open, with some savvy businesses already securing sponsorships,” Ms Taylor said. Australian Body Art Festival celebrates the best of body art and has called Cooroy home since 2017.